We are a leading Exporter of fabricated stainless steel pipe, thick wall seamless steel pipe, fabricated pipes and ms square pipe from Mumbai, India. We have marked a distinct position in the domain by manufacturing, trading and supplying the finest quality Fabricated Stainless Steel Pipe. 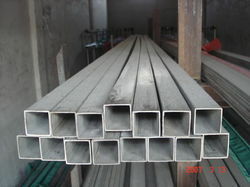 The offered pipe is manufactured using the optimum quality stainless steel and sophisticated techniques at our well-maintained production unit. The offered pipe is suitable for agriculture, chemical, gas, sewage and other industries. Furthermore, our provided pipe is available in diverse lengths and other technical specifications for our prestigious clients to choose from. 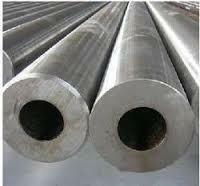 We are manufacturer, supplier of thick wall seamless steel pipe. We offer thick wall seamless steel pipe to our client at best market price. Size Range for Pipes, Pipes Fittings & Flanges – ½” NB to 72”. 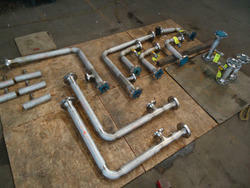 Looking for Fabricated Pipes ?